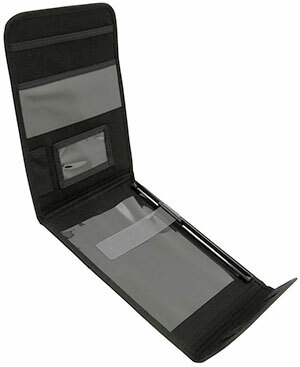 2 Easy Access Storage Pockets for Extra Logbooks. 30% Off for a Case of 24 ($ 7.69 each). 10 1/2"w x 7 1/2"h RoadPro Standard Trucker Log Book Covers by RoadPro. RPVIR and 115-B Vehicle Inspection Reports. A Very nice looking Driver Daily Log Cover w/Precision Slide Rule to help you keep your time neat and easy to read. Provides a protective covering for your Daily Logbooks and helps you to Avoid Heavy Fines. If your Driver's Daily log books are not legible, it is just like not having a log book at all! 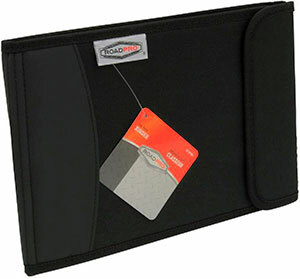 A good quality driver's daily log book cover will also keep your logbook from becoming dog-eared and tattered.